An ice cream shop is a business where there will always be customers visiting the place. Ice cream itself is a delightful dessert that’s enjoyed by people of all ages. It provides a wide variety of flavors for them to choose, and they can even order it on a cup or cone. Ice cream never failed to please us when it comes to our cravings, and what made it better is that you can use it as an advantage to earn some income. Research is what matters if you want to plan your business out. This involves thinking whether you want to pursue a small business such as an ice cream shop – which means putting up almost all possible ideas that you can make for the business. However, you need to know that small businesses will be quite a stressful task for you. It’s a type of business where you handle almost all matters by yourself since you will be your own boss at this point. That’s why you have to consider if you’re really the type of person who’s willing to accept the challenges since ice cream shops are abundant around different parts of the world, and there will be instances where their ice cream menu will be better than yours. Gladly, learning is all that matters to improve your skills, and that’s the key towards achieving that. Once you’ve learned enough to the point where you can make your own ice cream shop, start thinking whether you want to proceed with your own independent business, or if you like to go for a franchise instead. Independent businesses are usually unique when it comes to their preferences in delivering their products. For those who want to pursue an independent company, note that well-known ice cream shops such as Baskin Robbins are now spreading worldwide. Note that this huge company began as two separate and independent businesses owned by Burt Baskin and Irv Robbins, but were successful enough in leading a company that can even help others franchise their 31 unique flavors. Being independent grants you access towards many ideas since it’s all under your control. On the other hand, franchising a business can be fine as it helps you gain income. However, there are rules needed to be followed here depending on what the company wants. It can hinder you on your own ideas when it comes to customizing your menu, but you can make your own branch reputable to others if you have a decent idea that can help you market more customers in your shop’s vicinity. The next thing that you need to do is by accomplishing the legal requirements needed in order to properly set up the business. The requirements that you need will vary from city to city. In cities such as Toronto, you need to get your ice cream shop inspected, get a proof that you’re going to deal business, show an agreement that you leased the area or a proof that you own the lot, and you also need license for business purposes as well. Insurances are also needed in case emergency situations happen. All of these should be collected and shown in order to prove that you’re a legit ice cream shop dealer. To effectively do this, a lot of research will be considered which is why you can plan this out as you study the nature of business once you’ve grasped an idea about how ice cream shops work. You need to build the “backbone” of your ice cream shop – which are the liabilities that you will hold, the assets needed, and of course extra money to spend on the things that you want in the store. You can go for sole proprietorship which is the most basic form of small businesses, or if you can proceed with a company who can help you with legal liabilities. Aside from that, you should also think about the perfect location where your ice cream shop will be easily seen by the people. You have to get the perfect lot where you can place your business, and make sure that it’s located on an area where a lot of people will come and go. Remember that you have an ice cream shop – the more people pass by, the bigger chances of a full ice cream shop. Now that you’re closer on accomplishing your plans in having an ice cream shop, you need to get the supplies that you need. 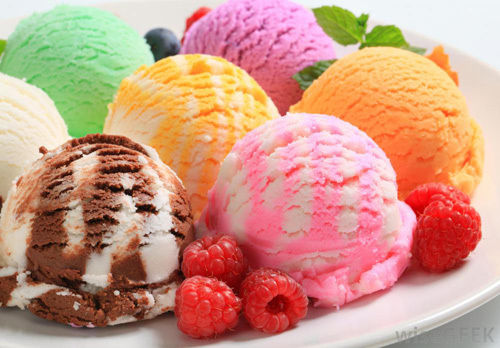 This means you have to get contacts on equipment suppliers in order to provide you the right equipment needed for the ice cream shop, and so as companies who can offer you items such as freezers and cabinets for your ice cream ingredients. We are not talking about the simple ice cream machine that you usually see in convenience stores; the right ones are special types of machines that can help you make adjustments in order to make your ice cream outstanding. A business has to be unique to gain a success – even if similar types of businesses already exist! Aside from the usual equipment needed, you also need the ingredients to be purchased correctly. Get some suppliers who can provide you the cream, fruits, chocolates, and other items on your personal recipe. Lastly, decors are also needed to make your ice cream shop more attractive since these places needed to be neatly designed for accommodation as well. Once done, start attempting to make ice cream. If you’re an independent business, start doing some yourself and sell it to your customers. In this way, you will be able to learn how to teach your staff in the future (if you don’t plan on hiring some at first). Once time passes by, ice cream will be a specialty that you love to share and create not just for your customers, but also for your employees for them to work better in the long run. As you can see, creating an ice cream shop is never a hard business at all. A lot of people will appreciate the fact that you’ve made such as a remarkable dessert that people really love, plus you also provided a convenient means for people to access more ice cream flavors. All you need is a plan, a very unique idea that can define your store, and the will to do it. Surely, your ice cream shop will flourish towards success one you consider these extremely valuable steps in setting up an ice cream shop.